Ecole de Management de Normandie was founded in Le Havre, France in 1871. It now has three campuses in France: Le Havre, Paris, and Caen. EM Normandie has a focus on students’ personal and professional development. Among the 3,100 students are over 730 international students. The undergraduate program at EM Normandie has been accredited by AACSB International, and the Grande Ecole graduate program has been accredited by EPAS. Normandy is a region in north-west France with convenient train connections to Paris and the rest of France. 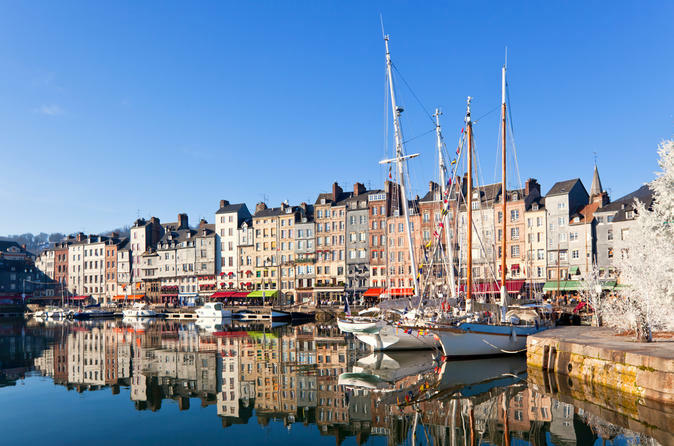 Le Havre is located on the shores of the English Channel, and is the first port in France for international trading. In 2005, the city was named a UNESCO World Heritage Site. Its history goes back to its founding in 1517. Much of the city was destroyed during World War II and was rebuilt after the war. Caen is located only 30 minutes from the beaches of Normandy, and is a beautiful and historic university town. It is known for its many historical buildings that were built during the reign of William the Conqueror, and the heavy fighting that took place during the Battle of Normandy in 1944. The EM Normandie Paris campus is located in the 16th district and is home to the Grande Ecole graduate program (this program is for graduate students only). There are several courses available to exchange students in both English and French. Courses in English are available in the International Management program (available at Caen or Le Havre campuses) or the European Business programs (available at Caen campus). The EM Normandie International Office will help exchange students find housing close to campus. Accepted students will be sent a list of available housing (private shared rentals, individual flats, residence halls) and registration will be on a first come first serve basis as there is limited availability.